The subject property is a vacant corner bungalow lot situated about 350 metres from the beach. Another view of the subject property. Next to this vacant land is a single-storey bungalow going for sale at RM 360,000 (Click here). Most of the bungalow lot owners have not built their homes here yet. The above shows the approximate location of the subject property. 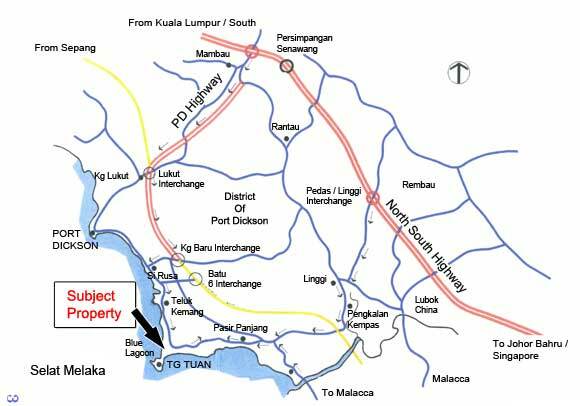 There is now a new highway, a short distance off the North-South Highway at Seremban, which goes almost right to Rusa.